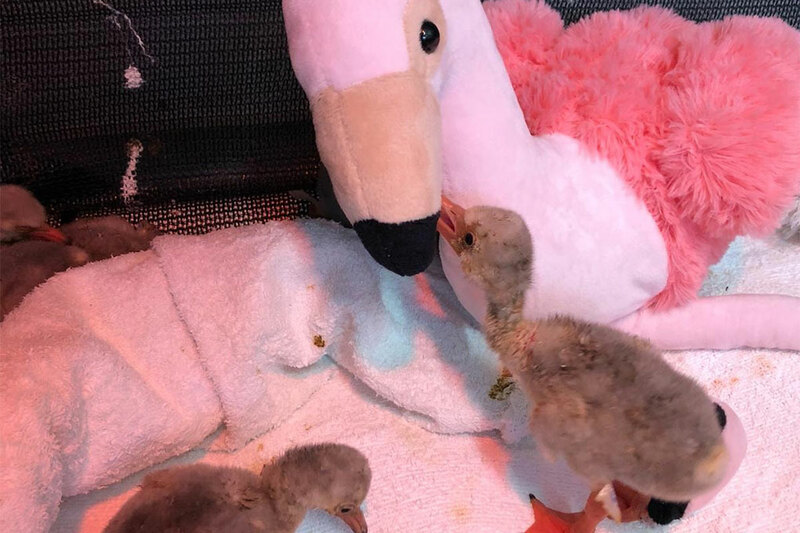 The Maryland Zoo in Baltimore has sent Jess Phillips to Cape Town, South Africa, to support the rescue and rehabilitation of 285 lesser flamingo chicks that were part of over 1,800 chicks abandoned at their nesting grounds in South Africa during an extreme drought in January. 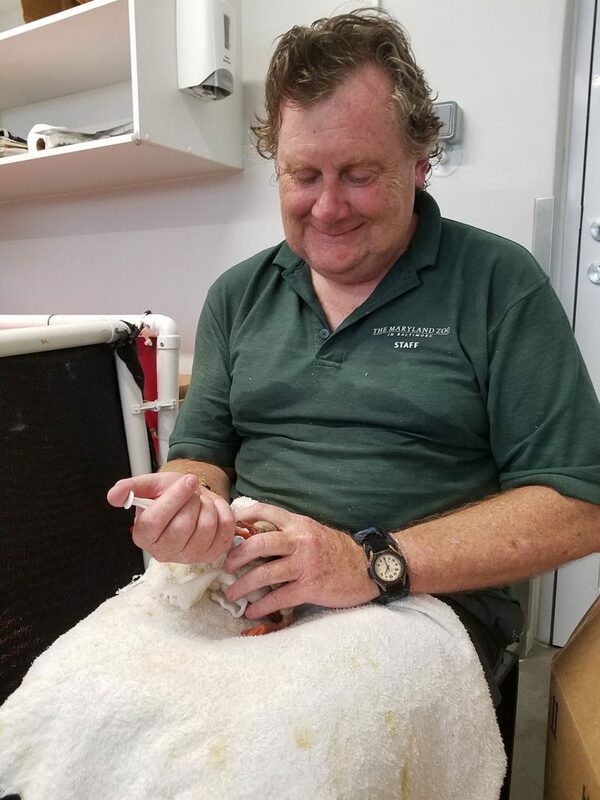 Phillips, Area Manager for Penguin Coast at The Maryland Zoo, arrived in Cape Town on Friday, February 1st to assist with the emergency response at the Southern African Foundation for the Conservation of Coastal Birds (SANCCOB), a longtime conservation partner of the Zoo. 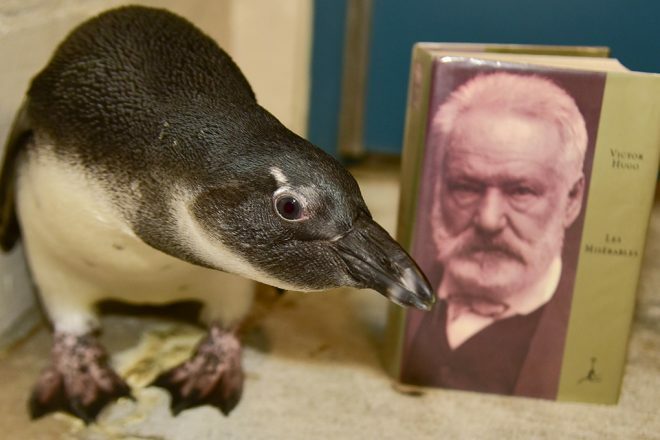 SANCCOB operates an internationally renowned seabird rescue and rehabilitation facility headquartered in Cape Town, where Maryland Zoo staff have assisted with African penguin rehabilitation and release in the past few years. 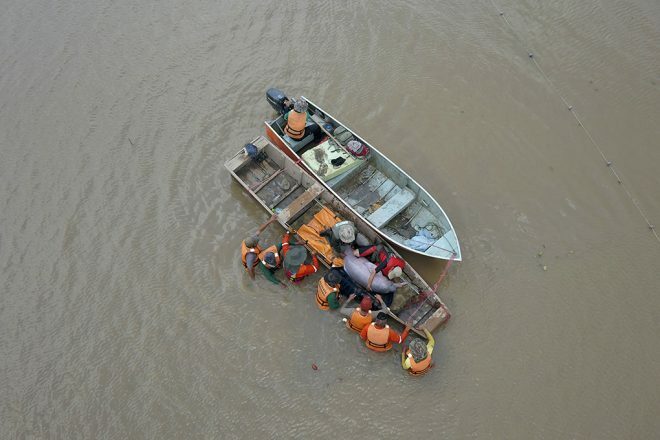 The emergency rescue took place at Kamfers Dam in Kimberley, about 600 miles from the South African coast, when the 1200-acre lake began to dry up due to extreme drought conditions, causing thousands of nesting lesser flamingos to abandoned their egg clutches and chicks due to lack of food to feed to the chicks. Due to the vast number that were abandoned, chicks were dispersed to a variety of different facilities in South Africa including SANCCOB. 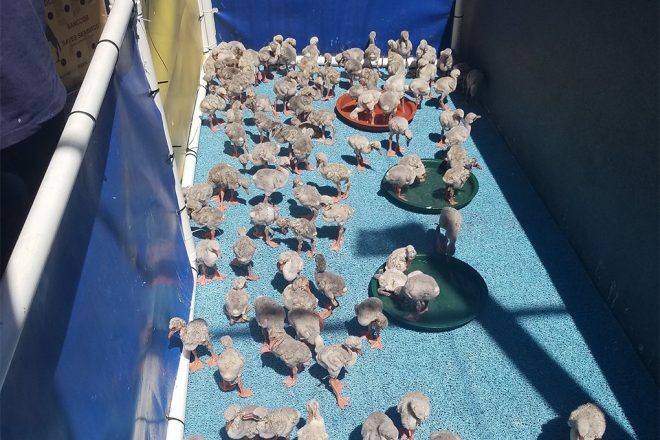 The chicks were flown by a private plane, owned by a local mine owner, to Cape Town and arrived at SANCCOB on Monday, January 28, 2019. There are six species of flamingos in the world. 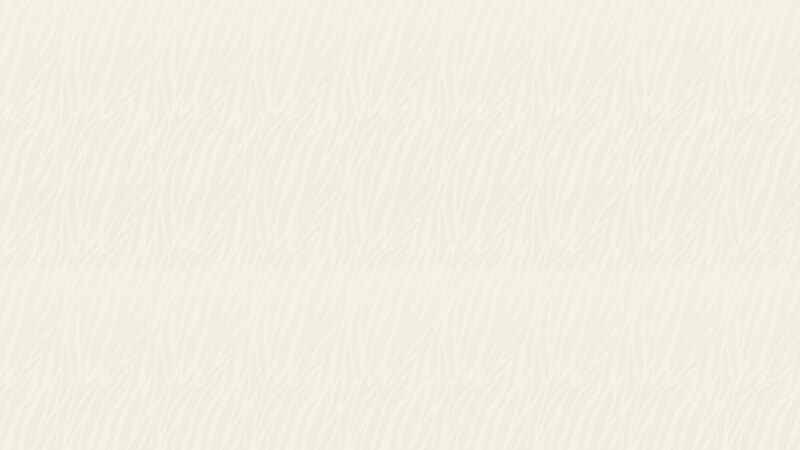 Lesser flamingos are listed as near threatened by the International Union for the Conservation of Species. They live in super-alkaline lakes in southern and eastern Africa, and in southwestern Asia. Lesser flamingo populations are increasingly threatened by habitat destruction. Flamingos take approximately 75 days to fledge. Once grown, the lesser flamingos will be 2.5 to 3 feet tall and weigh up to six pounds. As chicks they are grey and fuzzy, before fledging into their famous pink plumage. 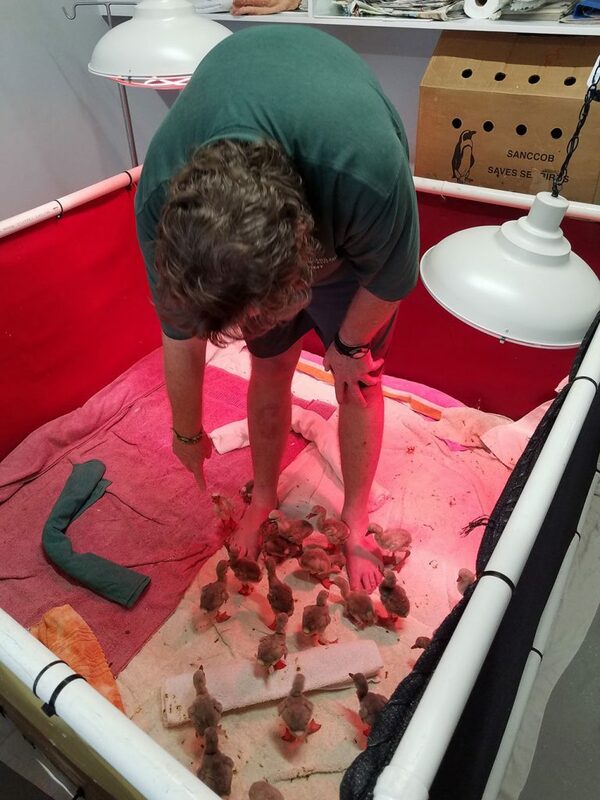 “The first week with the chicks was tough and we suffered some losses, but the majority are doing well and growing stronger daily,” concluded Phillips. “There are a lot of partners working together on their behalf and sites are being surveilled for releasing the fledglings when the time comes. 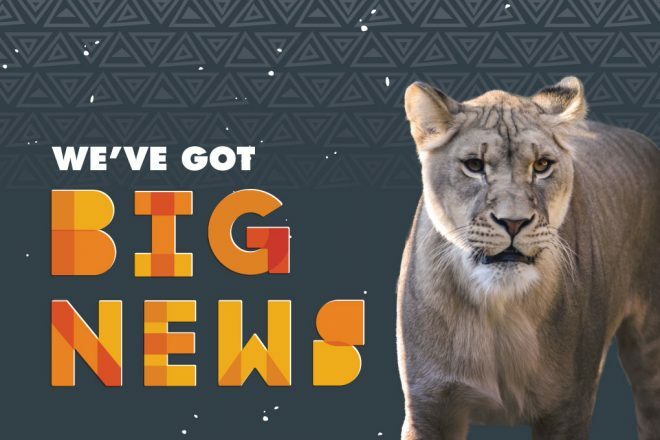 This is a long-term effort, and I am very proud to represent The Maryland Zoo and do what I can to support SANCCOB and the flamingos.” Representatives of other facilities accredited by the Association of Zoos and Aquariums will also be involved in this ongoing effort in the near future. The Maryland Zoo has more than a dozen Caribbean flamingos located near the entrance of African Journey. 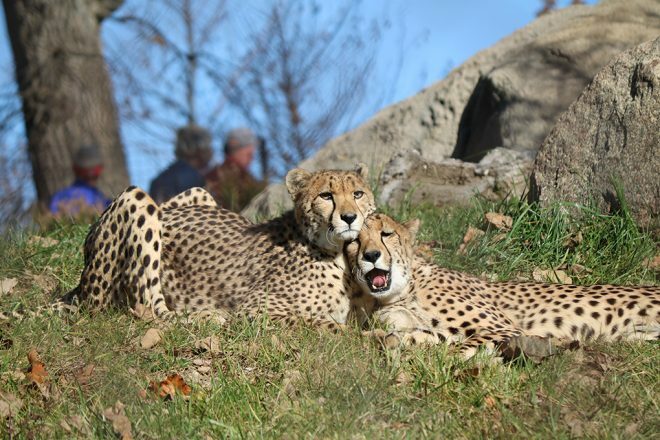 The Maryland Zoo is a nonprofit organization and donations support the Zoo’s animal care and conservation work.